Amp has built-in email marketing tools! You can safely send mass emails to prospects, students, and even to staff. The Amp Emails module has a mass emails function which actually sends each email out individually (yet automatically) to save you time!. 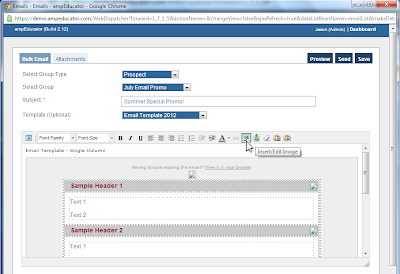 The mass emailer can send a single email to any Group you create. 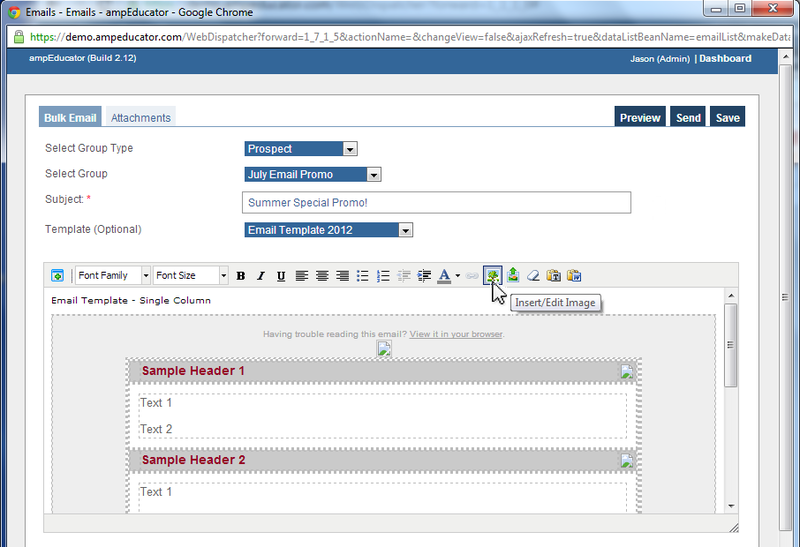 Send regular emails, file attachments, or even a custom made HTML email template! The current version even has a tracking feature to measure how many recipients have opened your email. Check our Manual for instructions on setting up Email, Groups and Mass Emailing. Need further assistance? Feel free to contact us.